The middle movement of the chamber work titled "Menage a Trio". 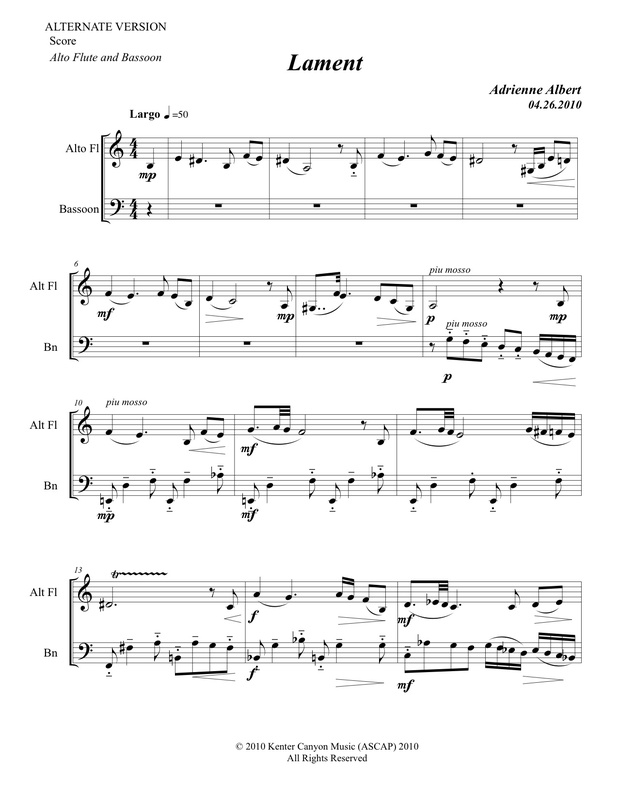 "Lament" is a stand alone work for numerous instrumental duets. 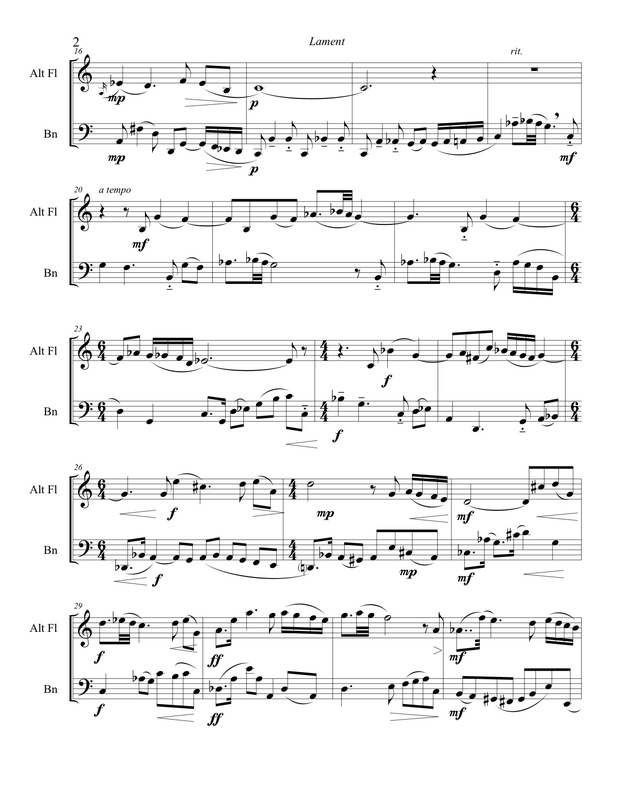 The original version is for alto flute and bass clarinet, but it can also be performed on low flutes, alto flute and bassoon, viola and cello and many other beautifully matched voices. An homage to a friend who passed away suddenly, "Lament " is a heartfelt work that speaks to the melancholy loss of a loved one.